I am loving all the cool D.I.Y. 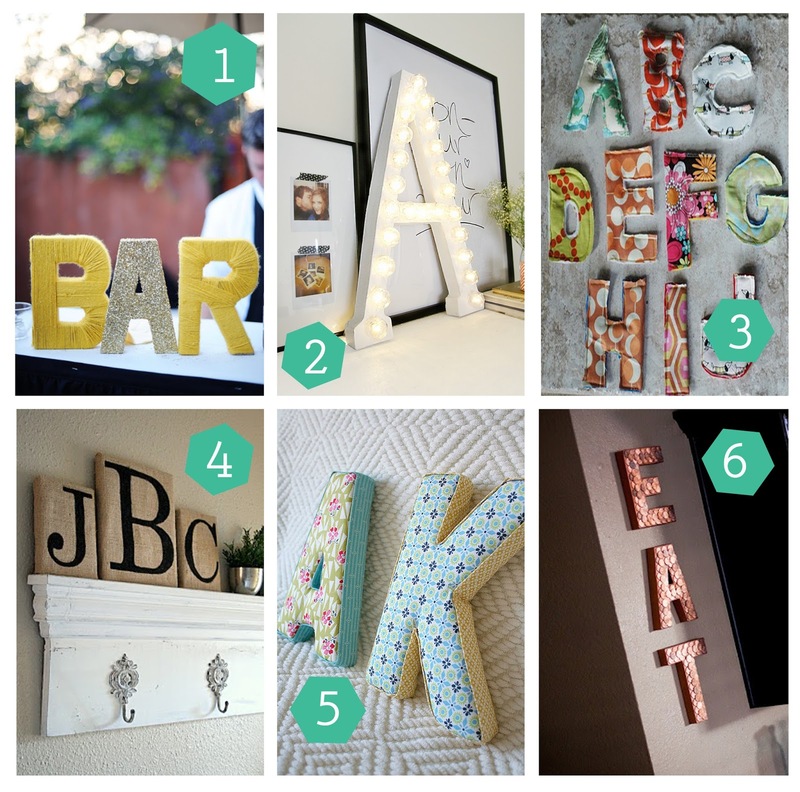 initials and letters out here at the moment, Pinterest is bursting with them. I have collected together some of my favourites this week I will definitely be having a go at those penny covered letters this weekend, how about you? What D.I.Y projects are you having a try at this weekend? let us know in the comments. Thanks Claire, Aww that sounds so cute! Hello, I've never posted before but I've been enjoying your blog for several months and have loved the shop since you were in the Nicholson centre, though I'm not a particularly frequent visitor. I felt moved to write after hearing the news on Friday about the proposed redevelopment in Maidenhead and demolition of the Colonnade buildings. That's very near to you, isn't it? Hope that it's not going to affect you at all - except in positive ways like bringing extra footfall down to that part of the town! As far as my shop goes, thank you for visiting, even if its not that often, we love all our customers. The colonnade and waterways development will not directly affect us, as far as our building is not being demolished. Of course it will affect us in other ways whilst the buildings around us are being worked on. We are still waiting to hear when exactly and for how long the work is going to be. Rest assured that whatever happens we will keep you updated on our Sew Crafty Facebook page. We are hoping that it will be a positive change when the building works are finished and yes bring lots more people to our end of the town on a more regular basis.